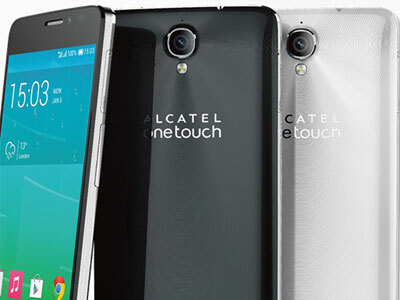 Alcatel One Touch launched a new series of smartphones for its customers in India. New Delhi: Alcatel One Touch, a brand of Hong Kong-based TCL Communication on Wednesday launched a new series of smartphones for its customers in India with a focus on south and west regions. The two series consist of smartphones in the mid and high range and are targeted at consumers across various age groups. They will be available in the price range between Rs. 10,000 and Rs. 30,000, India Business Unit Country Manager of Alcatel One Touch, Steven Zhao told reporters. “There is a huge demand for smartphones in India and the company is targeting teenagers and youths. The company hopes to sell 500,000 pieces of smartphones by December 2014,” he said. The Idol series phones come with a large screen segment from 4.3 inches to 5 inches display with a tiny 2.4 mm bezel which makes it the most compact and slim smartphone. The phone supports Bluetooth and Wi-Fi, ensuring full time connectivity for the social media users. The phone comes with memory sizes of 4 GB, 8GB & 16 GB with sufficient internal memory size. The Hero, a high-end category phone comes with a 6 inch HD display. The phone comes with features like dual screen display, compact design and handwriting recognition and many more attractive features which make it a great value for money smartphone. The phone has a 13 MP rear camera and 2 MP front camera with an advanced picture quality and comes with 16 GB expandable up to 32 GB and 2GB as internal memory. Recently, Alcatel One Touch partnered with wholesale mobility distributor BrightPoint to distribute and market its smartphones across west and south India. This partnership will enable easy availability of smartphones, as the full range of products will now be available in the open market, he said.